During the second set of the Australian Open women’s singles final it seemed Naomi Osaka was on the verge of a mental breakdown. After failing to serve out the match and missing three match point chances, the 21-year-old had walked off court, crying and hiding her head under a towel. When she returned to the court, she had wiped out any memory of her previous choke. In the next two hours and 27 minutes, Osaka secured her 7-6, 5-7, 6-4 victory over Petra Kvitová, and set up a bunch of milestones. She’s now world’s No.1, the first Asian player of either gender to claim the top spot. She’s the first woman to win consecutive grand slam titles since Williams in 2015. 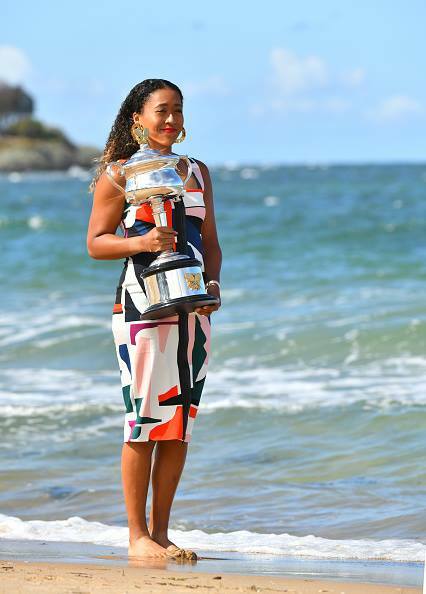 She is the first woman to follow her maiden grand slam title (US Open against Serena Williams) by winning the next one since Jennifer Capriati in 2001. Here’s what Osaka teaches about leadership and how to overcome challenges. The Japanese-Haitian player is vocal about her own habit of becoming sulky during difficult matches. And she did become so on Saturday in the match against the Czech heavyweight. Osaka even admitted later that she was using the towel to hide her tears. But when she came back, it seemed like a different person. She had quickly learned the lesson, and mastered her own disappointment like a seasoned veteran. Leading an organization can be exhausting, and when obstacles come unannounced things get ugly. But you have to stay focussed and keenly observe the problem and accordingly devise a technique to find a suitable solution. There’s always a solution if you believe success is the only option. During the trophy photoshoot after the Australian Open, Osaka was offered a stylist and makeup artist but she declined. She wore a dress she already owned and did her own makeup. At a time, when designers across the world are vying to dress her, the player chose to keep things real. Leaders who know the importance of hard work and believe in their craft don’t need to show off what they have achieved. It’s always the skills and execution that count. Even at the Australian Open, Osaka’s humility towards the opponent was apparent. She said at the presser: “Hello. Sorry, public speaking isn’t really my strong side so I’m hoping I can get through this. Congratulations Petra, I’ve always wanted to play you, you’ve been through so much, and honestly I wouldn’t have wanted this to be our first match. I’m so honoured to play you. “I want to thank you guys for coming and watching. Even though it’s really hot, you guys come and show support so I really want to show my gratitude to you. “Thank you to Craig (Tiley, tournament director), the ball kids, the umpires, you make this tournament what it is. Humility is what keeps a team together, and allows people to grow in all stages of their lives. A humble leader is both respected and looked up to.